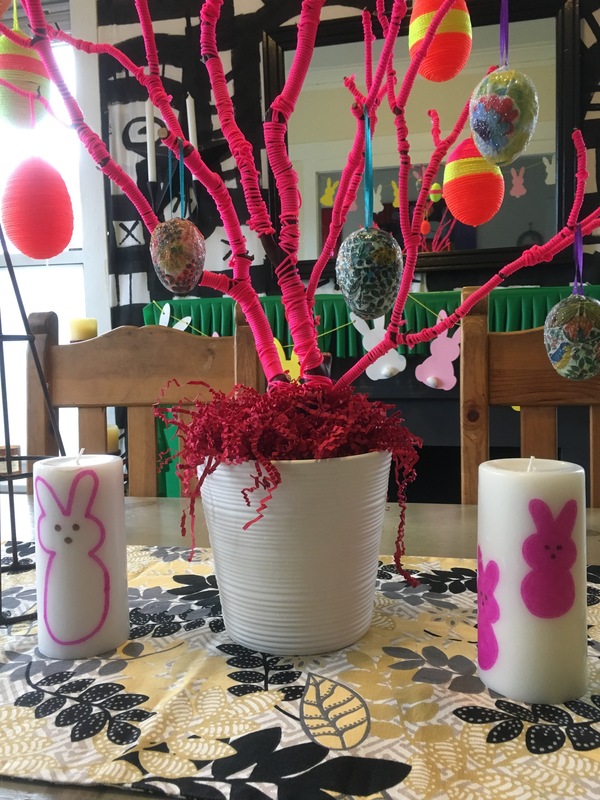 I added an Easter design inspired by Peeps brand candies to store bought white pillar candles using my hair dryer! Yes, a hair dryer. Learn how I did it in the video below. Also, I didn’t mention it in the video, but you’ll want to cut out around your design once drawn onto the tissue paper before adhering to the candle. Ok, just watch, you’ll see what I mean!